Denominations, Abomination & the Christ – A Splash of Love…. Denominational barriers, in my opinion, are a bit like a certain proposed wall between USA and Mexico; we build the wall, and the other side pays. We’re in; they’re out. It’s a divisive ‘us v/s them’ mentality, when ‘denomination-as-an identity’ is what we focus on, rather than focusing on Jesus, and rather than blessing our neighbours who also focus on Jesus, but do it differently. That said, I’ve read several strong ‘anti-denomination’ articles and comments ranging from general anti-denominational rants to calling all use of denomination identifiers demonic, to healthy questioning. (Observation would tell me that those who are totally anti-denomination, are very ‘pro-my-belief-system’ and create the same barriers without the denomination name associated.) And it all made me think below the surface of this problem. Isn’t the real issue from Whom/whom, or what we draw our spiritual identity? Is it from a denomination? From a leader? (dead or alive) Or from any other person or thing other than Christ? To whom do we look for validation and affirmation? Denominations are an unnecessary thing in and of themselves, granted, but I’d hesitate to call them demonic, as there’s no biblical evidence, nor current evidence that they are. But there’s plenty of evidence that they can be problematic. And that problem is old as the idea of Christianity and church. “I am of Paul, I am of Apollos…” they said in Corinthians, and Paul corrected them, to bring it back to Christ, and that is something that popularly ‘followed’ or ‘idolized’ spiritual leaders sometimes fail to do, as they watch their ‘tribe’ grow in strength in support of them, lifting them up rather than bringing it back to the simple gospel of Jesus. Good spiritual leaders will turn that ‘lifting up’ back to Jesus, not in false humility, but humbly accepting thanks and redirecting glory to God. Less than stellar spiritual leaders will absorb that ‘idolatry’, and as their name grows, the shift happens from Jesus to a person. (I would know… I’m “MENNOnite” by cultural birth, which wouldn’t be a big deal if it wasn’t a spiritual identity.) And as that name grows and if the identity becomes about a person or a set of beliefs held by that person, rather than about Jesus, divisions are inevitable. But the problem isn’t about the name, it’s about the position it is given, and the division it causes in the body of Christ. That divisiveness is not good. But it goes deeper than denominational name, doesn’t it? Is the root not a baser thing than that? A thing of selfish ambition and fear of losing position if we don’t feed and absorb that place of being held high, or having our beliefs held high… even higher than Christ? We forget that the ‘positions’ we are given in spiritual leadership are sacred callings, and they are servant-hood; an invitation by God to do His work, and when He has called, He preserves our calling if we trust Him and humbly turn the hearts of people to Him. This is gracious spiritual leadership, honouring ‘the Christ’, whether with denominational ‘titles’ or not. And I have known men and women of great ‘position’, wealth, and wisdom, who have walked humbly with their God, and whose names hold significant ‘presence’ when referenced, yet always they hold their hands up, redirecting to Jesus, the worship, as did Peter and Paul on the streets, as told in Acts 14. These are men and women of various denominations, or no denominations at all, but they are true heroes of faith, and true spiritual leaders. Because spiritual leaders always lead the way to God; they are never an end in themselves. I will grant it, I don’t like the whole ‘denominations’ thing much, and find it particularly unnecessary as a frame of reference as to what ‘kind’ of Christian I am. I’m either the Jesus kind, or I’m not one at all. But I can extend grace for the idea of it, because it dates back to the beginning of the church, from what I can tell, though often associated with cities, and now associated with beliefs. I don’t think it will keep people out of heaven, so I come back to the argument that strong labeling or condemnation of denominations seems a bit over zealous. Revelation addresses unique church identities well, pointing out that each has something to offer, but with areas of deep need for transformation. So I question whether ‘ridding the world of denominations’ is the answer, or even possible. Rather, tearing down the invisible divides we create by holding high our own positions, or this person or that one, rather than lifting Jesus high… now that’s a mission I’m into. Because when Jesus is lifted high, people are drawn to Him. And when He is invited in, the demonic flees and people are made whole and the body of Christ is made whole, not divided. We humans tend to focus on solving a problem so the Christ can be portrayed accurately and we try to rid ourselves (or each other) of the demonic to invite Jesus in, but the reverse is the answer most times; when Jesus is invited in, the darkness scatters. Darkness cannot exist in the light. And Jesus does not fear that darkness. In His darkest hour, He opened His arms wide, welcoming the whole world into grace. And that’s the problem with us… We tend to cross our arms and close our hearts, but Jesus opened His arms wide, and His heart wider. If we stop ‘fixing the problem’, and rather invite a broad shift in focus away from the denominations that exist, and away from the people who lead them, and collectively lift Jesus high, and walk in the way of His love, transformation will come. Barriers will come down. Walls will crumble. Next Article Male? Female? Neither? Both? Who is God? That has been said very well. I have been on both sides of the fence. First believing with all my heart that unless you were a Mennonite then you would definitely not be a Christian to the other side where I called all denominations demonic. I have come to realize that it is a universal human condition to want to build a doctrine or an organization or a kingdom that is visible and tangible. Such things are much more readily controllable than the Spirit of God. And it is a basic human condition to want to be in control. Hence why Jesus mentioned that maybe the old nature is faulty and we should be born again. Well said! Christ is our connection. Denominations should not be the focus. Blessings. Trudy, you are so right! If Christians would only realise that that “building” is just the place where we should build each other up. Chances are that the person sitting next to you at the office, who don’t know Jesus, will never go to church. We are the church – we need to take Jesus to the world. This is SO well written! Humility is key to moving forward from wherever we are in relation to denomination. I was born and raised within the confines of the MENNOnite church. I was taught the importance of fellowship with “those of like precious faith”. I went to a Christian school that was not exclusively MENNOnite, but which was ran by them where I learned among other things how I differed as a MENNOnite from every other body of believers, and how our way was better. I greatly love and appreciate the heritage I was blessed with. It was the schoolmaster through which I found Christ. I may never really know why it was my father of his 32 cousins, many of whom heard the gospel through the outreach of the MENNOnite, who responded to the gospel and paved the way for me, but I am SO thankful for the grace of God that has been extended to me and the precious blood that was shed to redeem and cleanse me and call me into fellowship with my Maker. The story doesn’t end there, however, in my late 20s and early 30s, I hit a rough patch in my journey, but it was in this soul-searching, through failures and heartaches that I experienced a change of perspective on what it means to be “of like precious faith”. My wife was from a non-denominational assembly. I became intrigued by and fell in love with the model that was held up for fellowship, and I set out to become “one of them”. I found the closest “affiliated assembly” some 2 1/2 hrs away from my home, and this is where things began to break down. After diligently trying to drive the distance for numerous weeks, I realized that this was extremely impractical so found a non-affiliated assembly much closer to home. Many of the practices were the same, our small assembly received them on confession of faith, but the reception was not reciprocated for some 12 years until last Christmas. I was frustrated and almost to the point that I felt I might need to “shake the dust off my feet”, but God is bigger than me and just when I had reached that point, He found a way to open the door. In all this, it forced me to understand what is important to the faith. 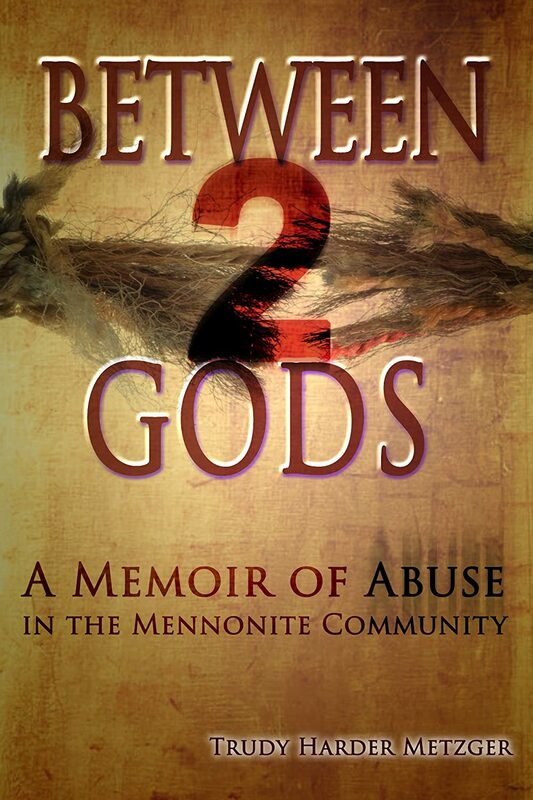 It allowed me to have a small glimpse of the pain I may have unknowingly imposed on others. It brought me and my pride to the foot of the Cross. It taught me about the spirit of Diatrophes, the deeds and doctrine of the Nicolatines, and how Christ refers to the systems that we replace Him with as the synagogue of Satan. On the fundamental level, there is ONE LORD, ONE FAITH, ONE HOPE, ONE BAPTISM, ONE GOD and FATHER of ALL. It is Him we worship. We need to disgard our “replacements”, sometimes we need to be willing to set aside our non-critical differences and come together in ONE CHORUS. He and His blood alone were the price of our redemption regardless of our denominational affiliation.